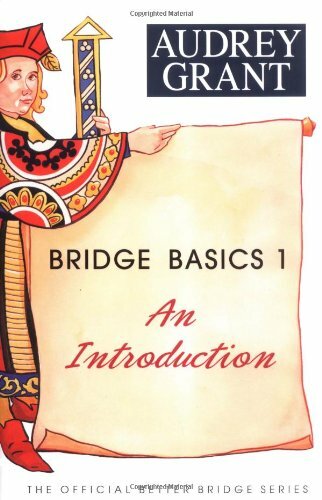 This has been the go-to quick reference booklet for thousands of Bridge players since it was originally published. 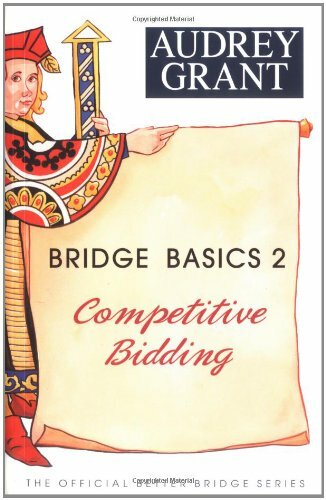 Slim and portable, it offers concise summaries of a wide variety of bids and coordinates with Grant's Bridge Basics books. A color-coded Bidding Ladder indicates the meaning of bids, and tabs grant quick access to any of the topics. This revision adds four pages, providing expanded information and a handy new scoring chart. Starts at the beginning, introducing the mechanics of the games. It covers bidding, play and defense. Audrey Grant does it again with an amazing new book, Popular Conventions, the third book in the series, covers everything from playing at a party table to a tournament table. Popular Conventions teaches you the core conventions that will strengthen your game for sure. It introduces you to the Stayman convetions, Jacoby transfer bids, the strong artificial two club opening, Blackwood and Gerber. This book gives you a chance to get ahead and win! 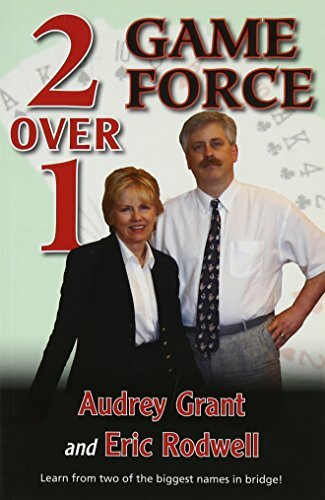 This book covers the basics of Two-Over-One Game Force, a popular variation of Standard American bidding. It shows how a small modification can make it easier for the partnership to get to the best game contract and explore the possibility of slam. Using a response of 1 NT as a forcing bid can improve the results. Bidding is color-coded in this well organized book. Summaries, exercises, and sample deals illustrate the ideas. 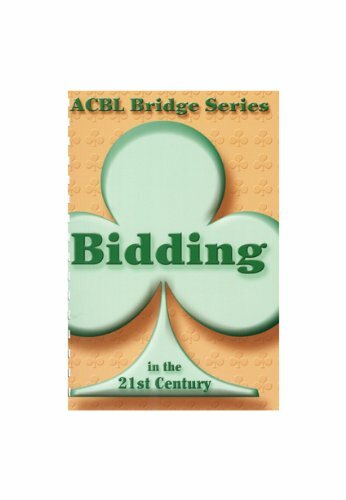 This is the 2nd in the American Contract Bridge League's series of bridge books for beginning and advancing players. Successfully used by students and teachers for over 20 years, this edition has been updated to reflect current standards for playing bridge. 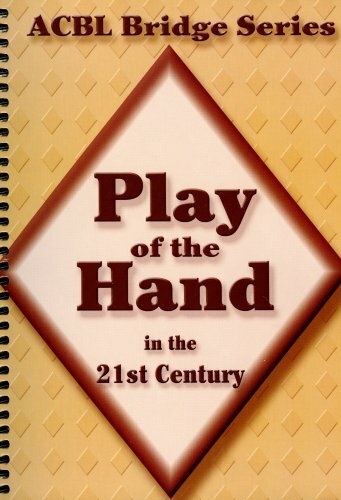 This book concentrates on the play of the hand (making a plan, promoting winners, finessing, trumping losers, etc.). The initial bidding concepts are reviewed and Jacoby transfers and slam bidding are introduced. Understanding the many uses of doubles can dramatically improve your game.Includes Takeout double, responding to the takeout double, rebids, balancing and other doubles. 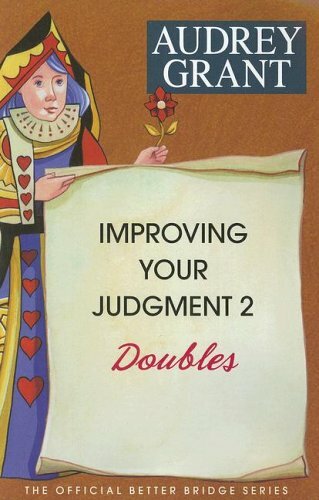 This is the 3rd in the American Contract Bridge League's series of bridge books for beginning and advancing players. Successfully used for over 20 years, this edition has been updated to reflect modern theory. Lessons include Opening Leads vs. Notrump Contracts, Opening Leads vs. Suit Contracts, Third-Hand Play, Second-Hand Play, Defensive Signals, Developing Defensive Tricks, Interfering with Declarer, Making a Plan, and the new bonus lesson on Negative Doubles. The first bid in a bridge auction impacts the bidding, play and defense of the entire deal. There's more to valuing a hand than adding up the high-card and length points. 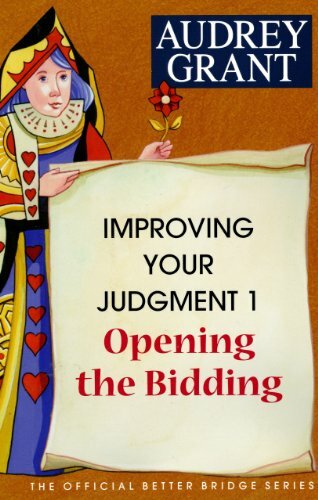 This book shares tips to improve your judgment and help you make better decisions when you are in a position to open. It includes the Guidelines of 15 and 20, light opening bids, pre-emptive bids and strong 2 Clubs, and more. Bridge, the card game. Great fun, innovative and the most skillful game on this planet. 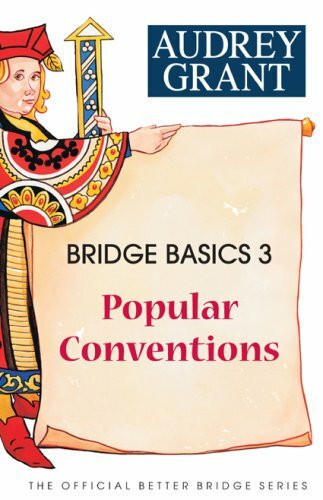 Compare prices on Bridge Books Audrey Grant at ShoppinGent.com – use promo codes and coupons for best offers and deals. Start smart buying with ShoppinGent.com right now and choose your golden price on every purchase.